Got a question about family law? The family law is complex so it’s no surprise that people who are thinking about or going through a separation or family legal matter have questions and concerns. 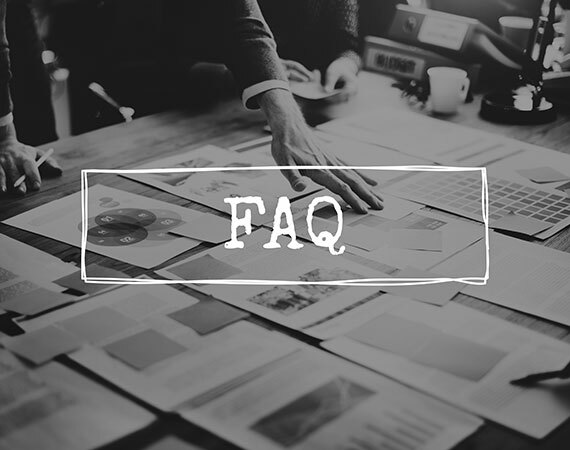 Questions about family law are very broad, so we’ve taken the most commonly asked questions by our Gold Coast clients and put them here. We also offer 15-minutes of free advice about any family law matter. I have just separated from my partner, how do we split up our assets and liabilities; and who pays for what? Each family’s situation is unique. We can provide you with options and advice in regards to your position. An Application for Consent Orders to finalise the property between you. Identifying your future needs for a just and equitable settlement. Caveats to protect the sale of property. Varying the title of your property from joint tenants to tenants in common. Injunctions to protect other assets from being sold. Binding and Limited Child Support Agreements. Valuations of property, assets and businesses. I have heard there are time limits, what does this mean to me? If you are in a de facto relationship that has broken down you have two (2) years to finalise your property settlement from the date of separation. If you were married and have separated, the time limit will apply, after you have applied and have been granted a divorce. You must be separated for a minimum of twelve (12) months before you can apply for a divorce from your spouse. If you have received your Certificate of Divorce, you have twelve (12) months to finalise your property settlement and/or spousal maintenance claim. The assets and or liabilities you acquire post-separation are still part of the relationship property. You may have to share the fruits of your labour, or the losses of your ex, post separation, until such time as you have a legal document defining what is yours and what is theirs. Caveats are also subject to limitations depending on the circumstances in which the Caveat was filed. If you have an interest in property, talk to us so we can advise you in detail about your rights under the current legislation. Call us now so we can clarify your position. Your children are our paramount consideration, we take pride in assisting our clients achieve an agreement that is in the best interests of their children. The responsibility of each parent towards the children. Time arrangements with each parent. The difference between Parenting Plans and Parenting Orders. Domestic Violence issues – including sexual abuse, emotional control, substance abuse. Overseas / Hague Convention matters. Abduction and relocation of children. Family Dispute Resolution and certificates. Do my children have rights, are their views taken into account? The simple answer is, yes to both questions. How this is achieved requires specific legal advice from an experienced family law practitioner. The need to protect children from psychological and physical harm. Family Consultants and their role in helping parents and children. Relocation, overseas and within Australia. Health issues and future needs. Cultural, linguistic and traditional rights. Your pets, whether feathered, furry or reptilian are sensitive to their environment. They will pick up on the emotion and stress which surrounds the breakdown of your relationship, just as your children do. If you suspect your pet is not its usual self please take him/her to their Vet. Any threat and/or act, to harm and/or kill a pet is an act of Domestic Violence. If your pet is intentionally harmed or killed contact the Police, your Vet or the Animal Ambulance on 0400 484 484. If you do suspect you pet may be harmed, physically or by neglect. It would be prudent to relocate it with friends or family. Alternatively, you may be able to board your pet at a kennel until such time as you can be reunited, or in the most dire situations you may have to surrender your mate to the Animal Welfare League (AWL) for adoption. Remember to check with any rental arrangements to see whether pets are allowed. Talk to us about how you can both spend time with your mate if you are equally attached to your pet. I am a grandparent, do i have rights to see my grandchildren? The object of the Family Law Act is to protect children and ensure they have a relationship with people who are significant in their lives, this does include grandparents. Call us to arrange a no obligation initial consultation at our reduced rate, to discuss a range of options which may provide that bridge to enable you to share in your grandchildren’s lives. Have not been separated for twelve months. Have been married for less than two years. Are separated but still living at the same address. Are married in a country other than Australia. Call us now at Advance Family Law for specific advice that suits your needs. I am in a relationship, and i don’t want to leave my partner, but i need to protect the assets, what should i do? The Family Law Act (1975) has provided a way for people to continue to be together. The legislators saw fit to cover both married and de facto couples to continue to live and love as a family but prefer to have a commercial approach to their finances. Call us now to discuss a Binding Financial Agreement that can suit your needs and protect the assets you have between you. Can i protect my inheritance? The answer to this question will depend on where you are in your relationship. Family law is a complex and dynamic process, and each situation is unique. Call us for more specific information that is suitable to your requirements. Whether your inheritances can be excluded from your joint property and asset. Protecting your inheritance or future inheritance. Other lawful options that may be available. My friend told me that i should get the same as they did because our situation is the same, is that true? The law is dynamic in the fact that it constantly changes, both at the legislative level and as new matters are brought before and decided by our eminent and honourable Courts. A prominent reason that you will not get the same as your friend/family member, is that all families are unique, and the law does take this into consideration. No family will ever be like another. The Court must consider the justice and equity of each order made in relation to the parties circumstances and cannot apply a “one size fits all approach”. This explains the constant need for the changes and the fact that the law takes into consideration events prior, during and in the future of your life. Talk to us to understand how the law, as it stands today, can help you. I have left the family home, have i lost my rights to my home? Change of title from joint tenants to tenants in common. We can’t agree on anything, do i have to go to court? If you have been served with papers, compelling you to appear at Court, yes you must respond. Call 5679 8016 immediately or email at info@advancefamilylaw.com.au or contact another qualified lawyer to assist. Legal Aid can be contacted on 1300 65 11 88, or your Community Legal Centre can help. Please see our brochures page for further information as to your rights and obligations. For more specific advice on your position please call us on 5679 8016 or email at info@advancefamilylaw.com.au. Contact details (if changed) for the children’s school, sport, music, medical, bank, etc. Your pets’ microchip contact details. Please note we are Lawyers and whilst we are passionate and knowledge about family law, we cannot give financial advice or advice on taxation. I am having issues with my partner with our current parenting arrangements, what can i do? Family Consultants for recommendations in the children’s best interest. Relocation issues whether overseas to evoke the Hague Convention or within Australia, under the jurisdiction of the Family Law Act (1975) Cth. To prevent the abduction and removal of children, by the other parent. Issues raised about a new partner being introduced to the children’s lives. Cultural, linguistic and traditional rights which the children need to know and embrace.